Prick the potatoes all over with a fork and wrap in foil. Bake at 170°C for 30-40 mins till soft. Meanwhile, heat oil in a pan and fry the onions, garlic and red capsicum till soft. Add the meat till brown and cooked through and stir in the WORLDFOODS Thai Massaman Sauce. 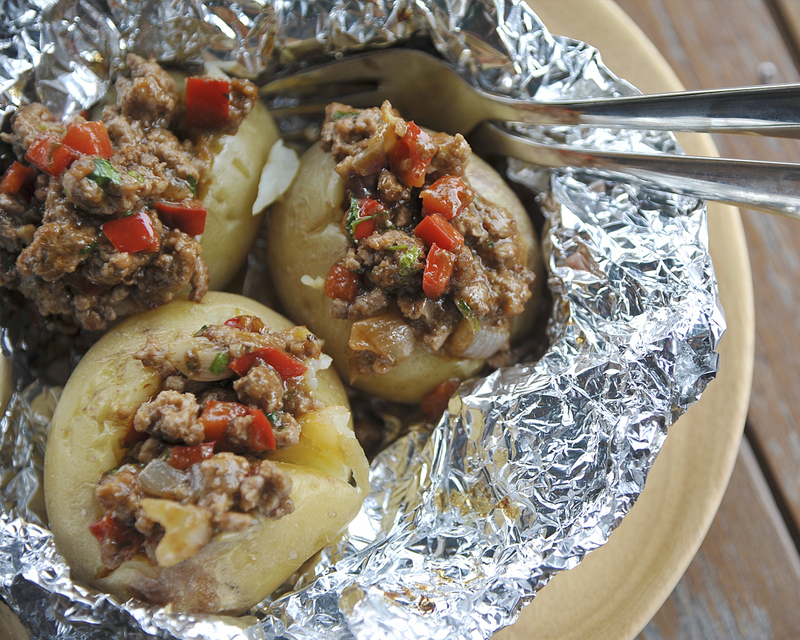 Cut a slit in the baked potatoes and fill with the beef mixture. Serve hot and enjoy.